It rains a lot in Trondheim, so some evenings or afternoons, we are stuck indoors. After a while, I started looking around in some of the tourist brochures on what to do indoors in Trondheim that wasn't too expensive. Going out to a cafe or brewery is out of the question, since a pitcher of decently brewed beer costs about $50 and any normal meal in a typical cafe or restaurant is at least $20-$30 a plate! Well, anyways, enough complaining about Norwegian food prices, and on to something more interesting. . . 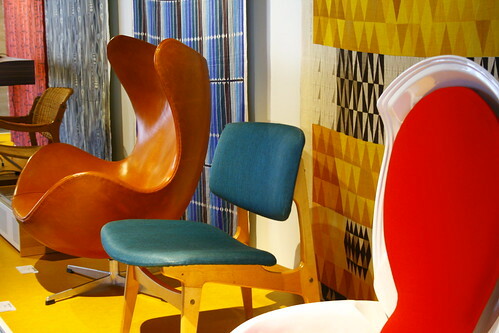 I found out about a cool small museum called the Norwegian Museum of Decorative Arts, located in the city center. 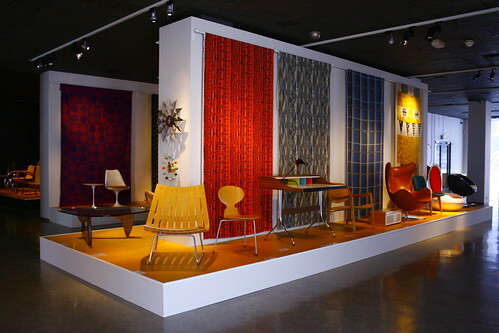 This summer, it was having a mid-century modern exhibit, which was displaying a lot of furniture (mainly chairs) and fabrics from the 50s and 60s. Most of it was Scandinavian, but there was supposedly stuff from other European countries and even a few pieces from the US. Student tickets were pretty cheap, so we opted to go on one rainy day. 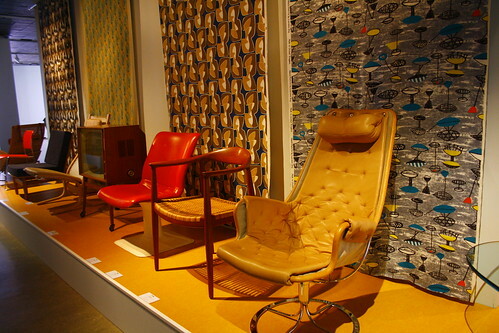 The mid-century modern exhibit (which all the pictures are from) was kind of small, but really cool! They had a lot of chairs and everything was so colorful and unique. 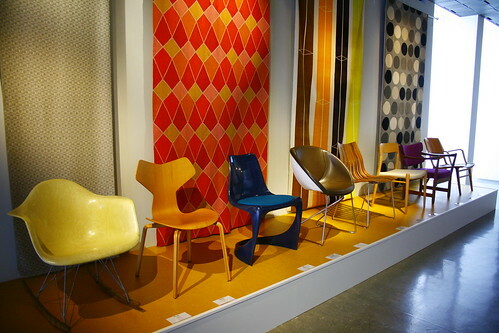 I really like it and I wish I could take all of those chairs home with me! Unfortunately, you couldn't sit in them to try out how comfortable they were. There were a few egg chairs that looked nice, but who knows how comfortable they really were. In the other parts of the museum, they had modern-ish tapestries and in the basement they had some really old Norwegian furniture from the 1500-1700s that looked like they belonged in a castle or palace. Very heavy and wooden or metal. They also had an abstract modern art part that was just freaky and ugly. We hurried along through that section. 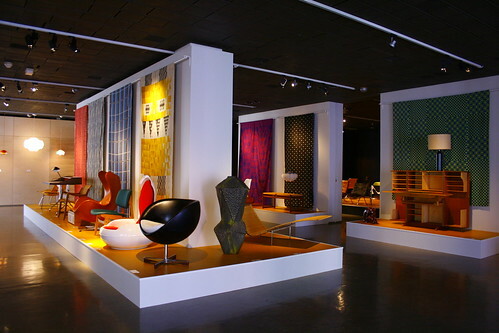 I think the only part that was worth seeing in my opinion was the mid-century modern exhibit, which is essentially what we came for. Hardly anybody was in the museum. We saw only one other woman. When we stopped by there over the weekend to inquire about opening hours and prices, there seemed to be a lot more people. I guess since it was Tuesday, we had the whole museum to ourselves!